Cambodia is a country filled with sweeping scenes of natural beauty and wildlife. A journey to the “Wild East” is a refreshing take on the Cambodia of old. Grandiose in its expansive jungle and notorious for its welcoming people, the eastern green belt of Cambodia is gaining a wider presence in the tourism industry, away from the clusters of Siem Reap and Phnom Penh, but is still largely undiscovered. 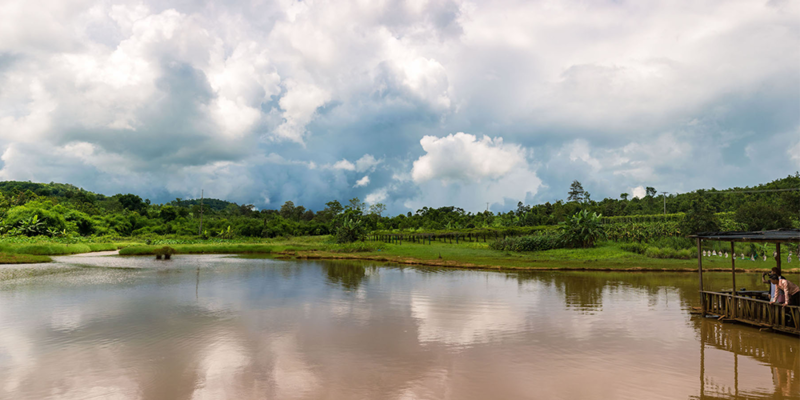 You will travel to the ever so lush northeastern provinces of Ratanakiri, Mondulkiri, and Kratie where NGOs make efforts to conserve the wild areas of this gorgeous country. There are wildlife reserves and elephant sanctuaries and intrepid explorers can trek to their hearts’ content. We traveled with MAADS who owns and manages a network of lodges and properties in the country and organised a superb guided journey through the Green Triangle of northeast Cambodia. We recommend you will arrive in Siem Reap at around 3pm to limit the number of days off work but you can also fly in the morning to have a more relaxed day. Either way, today is all about traveling, so be prepared for a long journey. Another option is to fly into Phnom Penh and travel to Kratie, but we suggest Ratanakiri first so that you get the longer part of the journey out of they way. Hop on your private or shared taxi, which you should definitely book before landing in Siem Reap. The journey to Banlung is about 6-8hrs depending on the transportation used. You will be amazed by the scenery and the trip will go by quicker than expected. Note that if you take a shared taxi, you will most likely change cars several times, probably at Stung Treng, the city on the Mekong. The shared taxi option is definitively cheaper but it is also much less comfortable so we suggest taking a private taxi to have freedom to stop and a much less packed journey. Arrive at your hotel in Banlung at nightfall after watching your first epic Cambodian sunset through the vehicle’s window. Stretch your legs, have a bite to eat at your hotel and get straight to bed as tomorrow is packed with adventure. Terres Rouge, the best hotel in town, has the most wonderful restaurant overlooking the tranquil scene of the Kan Seng Lake. This part of our journey was truly eye-opening, invigorating and emotionally uplifting. Traverse the bumpy roads in a 4×4 for 36kms until you reach the Tonle San River. Not to be confused with the Tonle Sap, in Siem Reap, but rather the river that extends from mid-Western Vietnam. Drive through the expansive scenery where you will see plantations of all kinds, from rubber and cashews to cassava and avocado. Upon arrival, hop onto your motorized boat and start your journey eastward to the local villages where you will find the animistic tribes of the Khmer Loeu or “Upland Khmer” tribes including the Tampoun, Kroeung, Jaraï, Kuy, Por and Katcha (or Kachok). These animistic tribes are indigenous to the area. They all have their own languages and religious practices including sacrificial rites and funeral statuary practice. There is one school where children of all ages participate in class together. There is also a running well sponsored by an NGO, where the locals can get drinking water. Chickens, pigs and dogs run amok, while the people sit in the shaded area under their homes if they aren’t tending their farms. You will be visiting Koh Peak village which is home to the Katcha tribe. 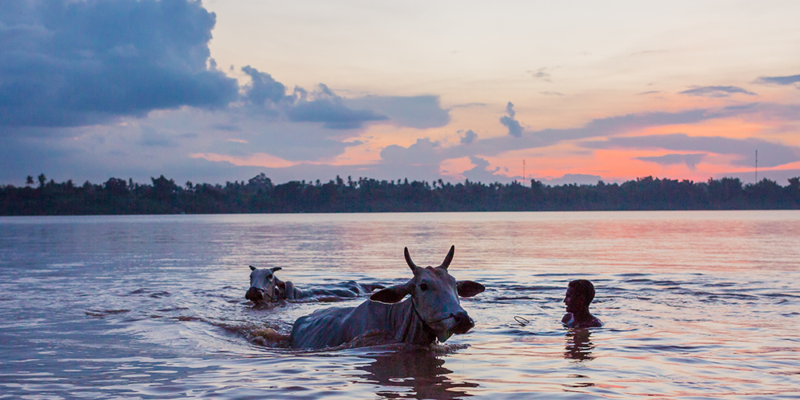 The main activities of this 362 person tribe is growing rice, and raising water buffalo, cows, chickens, and pigs for eating and offering to the Gods, as well as fishing. Before the Khmer Rouge, all the different tribes lived separately along the river. During their reign of terror, the Khmer Rouge took everyone and put them in one place, Koh Peak village, so that they had more people to work the rice fields for food. At the end of the Khmer Rouge rule, the Katcha tribe decided to stay here and others went back to their own villages. 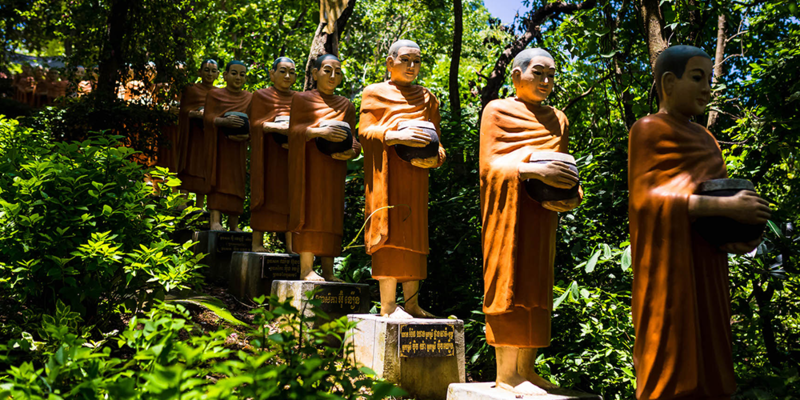 After experiencing daily life of the Katcha locals, you will walk upstream of the Tonle San to witness a number of Katcha totems, part of the funeral statuary practice. When the tribe members in this area die, they don’t get cremated but rather buried in different rituals. 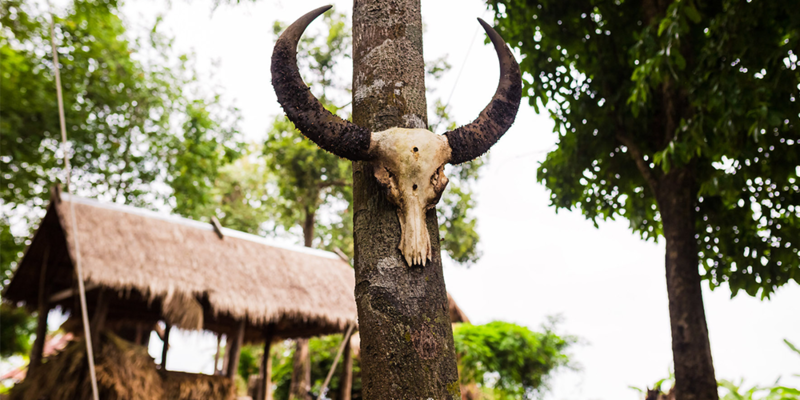 Only three tribes, including the Tampoun, Jaraï and Katcha, make a beautiful grave in honour of the deceased. The others will only bury the deceased and practice sacrificial offerings, not build these graves. After passing away, the deceased are kept at home for a few days to a week depending on whether the family is rich or poor. After the wait, they make a coffin by cutting down a very large tree and hollowing it out. They then place the deceased in the middle of the hollow log. A party then ensues where they sing and dance around the coffin and house. They then bring the coffin to the burial site where they clean it, make fires and provide sacrificial offerings, from food to cigarettes. Every day. For an entire year! But these days, the tradition has changed and they only visit the grave site for a season depending on when the deceased passed away. So if the deceased pass away in the summer, they will visit the site until the end of summer. At the end of the year or season they have one final, massive offering where they sacrifice entire buffalos, build a sort of house around the deceased and erect statues in their honour. When the ceremony is over, they will never come again to the grave site, even if a tree falls on the gravesite or a bush grows over the graves, because it is believed that the spirit of the deceased has now separated from the family and gone onto the next world. After viewing the Katcha gravesite and totems, you will travel down the river and stop on an island for a picnic lunch. Next up is a quick excursion to the Chinese and Laos villages in Veun Sai. This type of trip is only possible through Terres Rouge. Make sure to ask for Vuttha as your guide, as he knows the locals along the river, so you will get to actually visit the tribes instead of just looking on from the river. It is basically one long road where you will get to see how the expat Chinese and Loas communities live. Even though it is one strip along the river, the Chinese and Loas communities are worlds apart, with the Chinese houses being cleaner and better taken care of. A very interesting sight to see. Take some riel to buy fresh cashews from the local shop. Return to your hotel dreaming of the day that past. The tour will leave you with a sense of wonder and awe. Today you will get to meet some beautiful elephants up close. All the elephants in the Airavata sanctuary were once captive elephants and are now able to live the rest of their days in solace and being loved. The owner of Terres Rouge and the Airavata foundation (as well as Rajabori in Kratie), Pierre-Yves Clais, will be your guide extraordinaire. 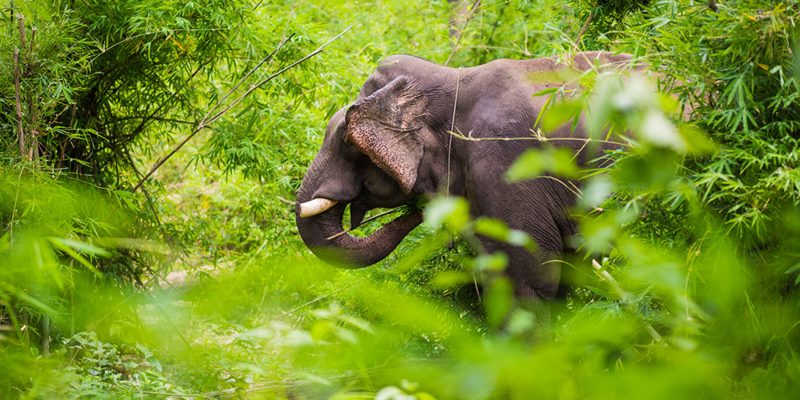 You will have the opportunity to trek through the dense jungle to reach the elephants. You can also choose to participate in elephant trekking and mahout training for a once off experience. The approach here is different from the Elephant Valley Project in Mondulkiri. The land where the elephants live is mostly jungle, yet the elephants do need to be chained at night. They are still able to walk around as the chain is long, but this is done as a precaution so that they do not run amok and destroy crops or mistakenly trample over people. They are able to walk around freely during the day over the watchful eye of their assigned mahouts. While the elephants are taken care of and loved by their owners, please do your research before you hop on an elephant. It is not like the poor undernourished elephants of Siem Reap, but riding an elephant on its back (and not its neck) is not only bad for their ribcage but also a morally arguable undertaking we do not support. Each elephant has a heartbreaking story of slavery, but is now well cared for and plump. Visit the elephants and read their stories here. Meeting them will be an opportunity of a lifetime. 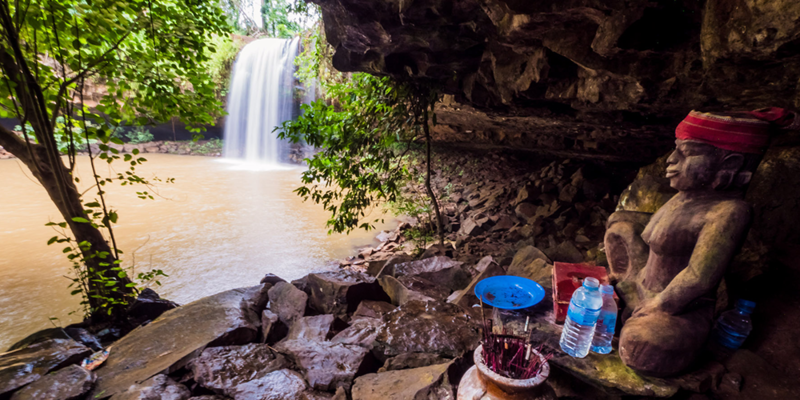 Throughout the 3-4 hour hike, you will visit the Okatchagn and Okatieng waterfalls, the now defunct Laos gold mine and will be treated to an authentic Khmer lunch (and a Pastis) at Airavata headquarters in the middle of the jungle. You can also choose to wash the elephants which will bring your total trekking time to 7 hours. Wear practical clothing with trekking boots and long trousers and cover yourself in repellent. Airavata elephant tour is US$145­­­­­­­­/person, transport & lunch included, or US$115­­­­ for guests staying at Terres Rouges Lodge (for groups of minimum 3 people), and 40% off for children below 12 years of age. 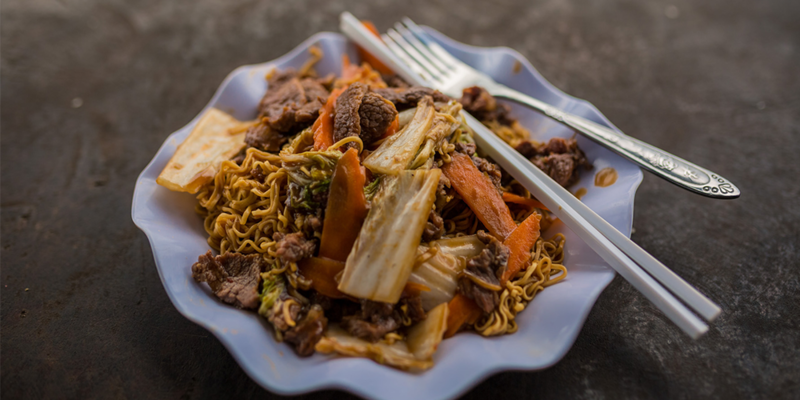 Visit Green Carrot Restaurant for a dinner of both Western and Khmer cuisine. Located on road 78A close to the main road 78. Yeak Laom Lake is about a 5km drive south of Banlung. 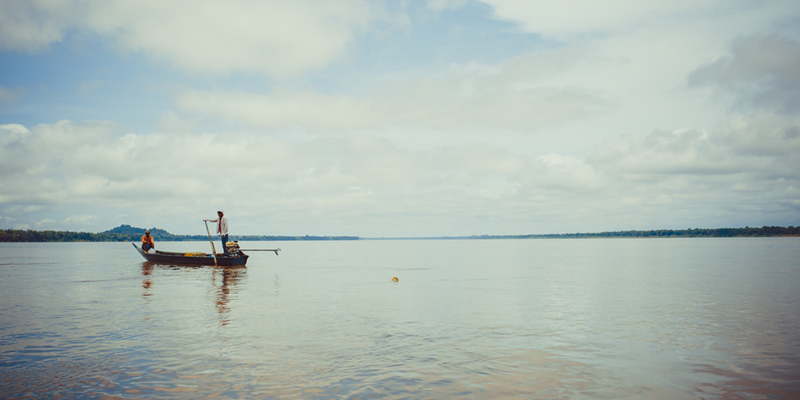 It is a gorgeous, clean lake that is in the center of a 4,000-year-old volcanic crater and is sacred to the Tampoun tribe. The circular lake is about 800 meters in diameter and 48 meters deep. Enjoy a picnic on the west bank of the lake at the tourist information center while listening to the parrots and other exotic birds chirping. It is recommended to bring your own food and beverages which can be enjoyed after a swim and a small hike around the 3km track. Ask Terres Rouge if they can prepare a small packed lunch for you. Souvenirs made by the local Chunchiet are for sale at the tourist information center. This area is serene, calming and tranquil, yet there have been reports of petty theft, so proceed with caution if you decide to go for a dip. Get back into the main town area and have a bite at Café Alee down road 78A. It is the perfect place to watch the sunset behind the mountains. It also has a variety of local and western fare. A very unique menu indeed! For dinner, chill out at Terres Rouge while you gaze at the gorgeous night scene of the Kan Seng Lake. They have a fantastic restaurant with the best wine selection in Banlung and French, Italian or Khmer treats that will tickle your palate. There are several shared vans leaving daily from Banlung to Sen Monorom in Mondulkiri at around 8am. We would recommended having the hotel reserve a seat for you. The drive is a 3.5 to 4 hour journey through small villages on what, a few years ago, was just jungle and a dirt road. You can also book your own private car for US$90. When you arrive, enjoy a local lunch at your hotel. We recommend a stay at Mayura Hill Resort in Sen Monorom. Mayura Hill is beyond a resort and very active in helping the province and its people thrive. 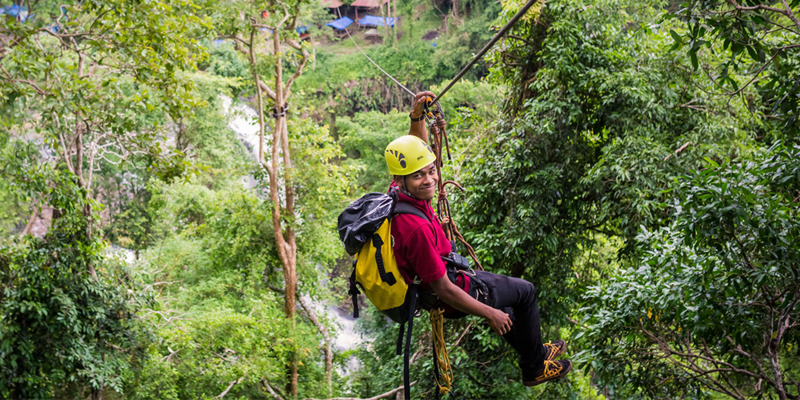 They have spearheaded campaigns like Keep Mondulkiri Clean, and are also owners of the Mayura zipline at Bousra Waterfall, bringing jobs to the local community. If you visit Dohkrormom Mountain, you will see an expansive wooden ledge with a large “I love Mondulkiri” engraving, also sponsored by Mayura. 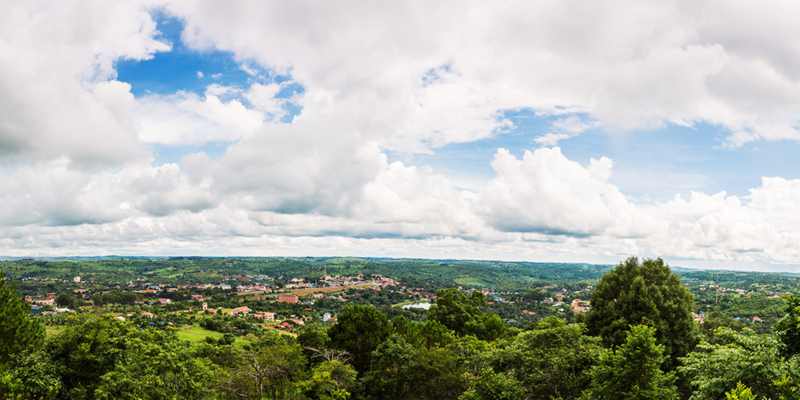 Mondulkiri, or “Meeting of the Hills” is the original Wild East and is splattered with jungle and plantations in every direction. It definitely has its “wild” charm intact, especially to the West. The cooler climate thanks to the higher altitude (roughly 800m) is welcoming. The area is possibly best known for its nature conservation efforts and for its elephants. Many an adventure traveler and ecotourist pass through this sleepy town on their way to explore the jungles or visit the elephants. There are very few tuk tuks in the area, so either use a moto driver that can be found just on the turn off towards the market or use the free shuttle services or bicycles from Mayura. Relax by the pool with a wonderful cocktail in the afternoon and have dinner at Pkha Cha restaurant set among jungle scenery at Mayura Hills. Get up early and have a quick breakfast at 9am. About 43kms outside of Sen Monorom, along hordes of pepper plantations, you will travel to the thunderous Bousra waterfall. It is a three-tiered natural waterfall with only the first two accessible to the public. There is a vibrant energy at this popular spot, if not from the day visitors, then from the roaring water itself. Keeping Bousra clean is also another one of Mayura’s endeavours. Thanks to them, there are intact walkways, a visitor’s centre, and a waste-management system, as well as the highest zipline in the region. The $2.50 entrance to Bousra will be included if you travel with Mayura. The zipline is impressive and your knowledgeable and extremely professional guide will take you on a thrilling zipline throughout the jungle. 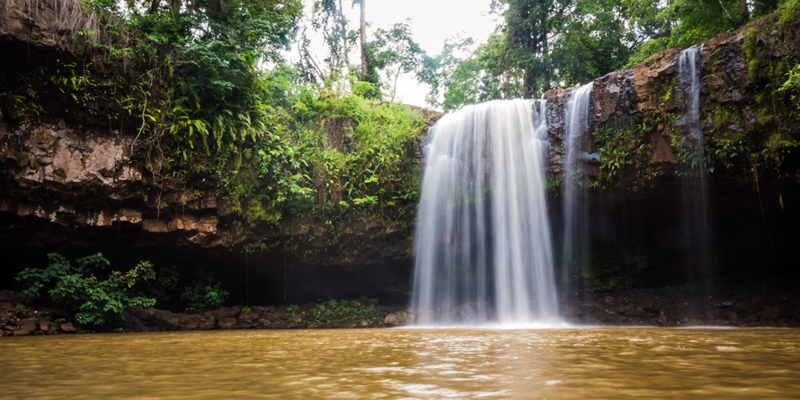 The penultimate line that goes directly over the waterfalls will be a standout experience in Mondulkiri, with a spectacular view. And right at the end is the lover’s line where you can cheesily ride together, holding hands with your significant other. Tickets are $69pp for a half-day excursion, including pick-up and drop off. At around 1pm, you can have lunch at Coffee Plantation, a working coffee plantation as the name suggests, on your way back. The food is local Khmer, with the usual lok lak and curry options. The view over the lake and plantations pops with beauty. 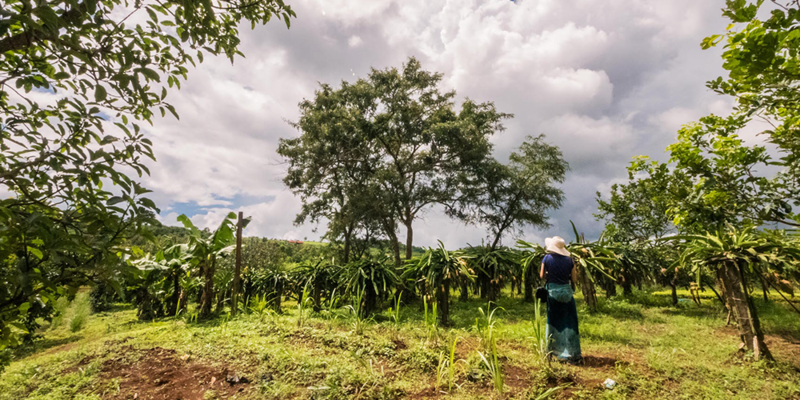 You will drink sweet coffee and then walk around the grounds to look at all the other produce they grow. Do not pick any produce, as tempting as it may be, as it is for sale. You will see pineapples, avocado, coffee, durian and many other interesting things growing on the trees. After lunch, visit Sambol Cher, better known as the Ocean of Trees, near Dohkrormom Pagoda. This is basically a hill with one of the most gorgeous views in Cambodia. If it is raining and the roads are blocked, don’t worry, as you can ascend Dohkrormom Mountain by car (or climb up the stairs). This is a set of two large hills next to each other that have aptly been given this name that translates to “female’s breast mountain”. At the top there is a quaint pagoda and a bunch of monkeys playing in the trees and eating the lush fruit and sacrificial leftovers. Back at Mondulkiri, you can wander around the main strip where there is a selection of local shops and a statue at the main roundabout. For a dose of caffeine, try MK Cafe. You can also purchase beans to take home. Or you can go back to the hotel to freshen up and rest before dinner. For dinner, either stroll over from MK Cafe or ask Mayura to take you to Chili on the Rocks for authentic Swedish meatballs for dinner. That’s right, a Swedish expat family have set up shop in Mondulkiri and will provide you with some very tasty delights. Today will be another one off opportunity to see the majestic elephants in their natural habitat. 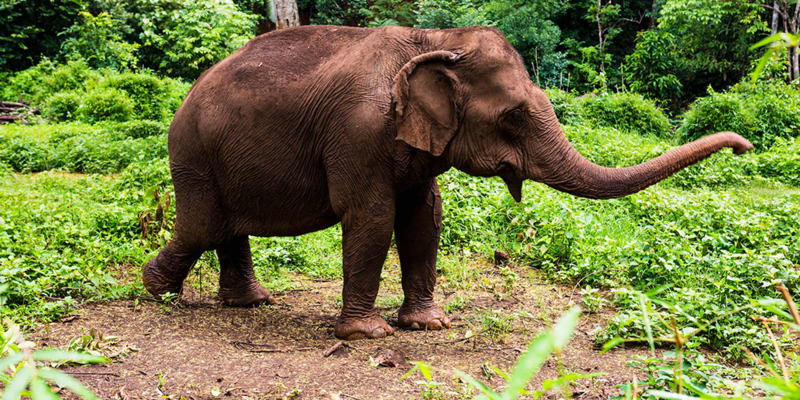 The main reason why tourists visit Mondulkiri is to spend the day among the elephants with Elephant Valley Project. You can choose between a half or full day trek in the lush hilly area of the EVP sanctuary. A different approach from Airavata in Ratanakiri, the EVP focuses on getting the once captive elephants back to being wild elephants. This means as little human interaction as possible. So you will not be able to ride or wash the elephants. 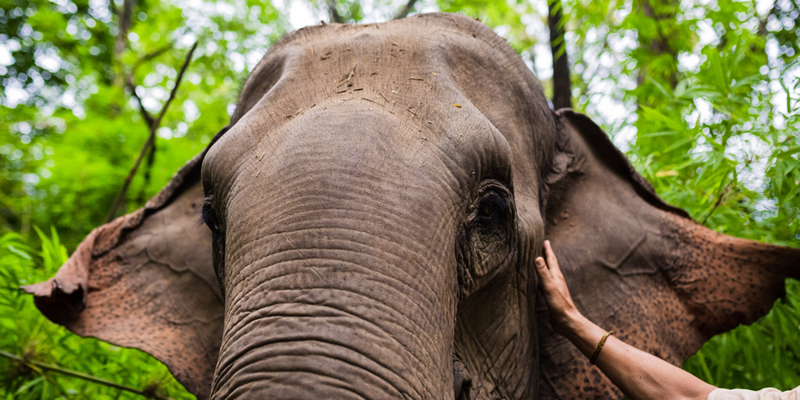 You may not even be able to pet them, as your experience it totally up to the elephants and how they are feeling on the particular day of your journey. This way, elephants can learn to be elephants again. Start your tour at the Hefalump Café, a quaint café on road 76 that serves a selection of cakes and some nice coffee. After hopping in the car, begin your journey to the Elephant Valley Project’s “Elephant Heaven”. The view is astounding with wild jungle and local crops such as bamboo, bananas, avocado and mangos. You will have a quick briefing on how the EVP works and the itinerary for the day before venturing off. The EVP is also involved in the reforestation of the area, as it is slowly being lost to plantation owners. Volunteers help the EVP to plant and farm the fields of bamboo that are now available for the elephants to graze on, and in so doing get a discount of the tour. Each morning the elephants come down to the river beds to take their bath. So you will trek into the Valley for about 45 minutes in pure jungle down a slippery path to watch the elephants take their morning bath. Watch the mahouts bathe their assigned elephants and snap as many pictures as you can. It is a beautiful experience to watch the elephants in the jungle among trees, plants and bustling wildlife. The elephants need about a 5-6m radius of personal space, this is so they are able to interact with one another without human interaction. Depending on the elephants’ moods, the group can give them a bit of a pat on the trunk or side. 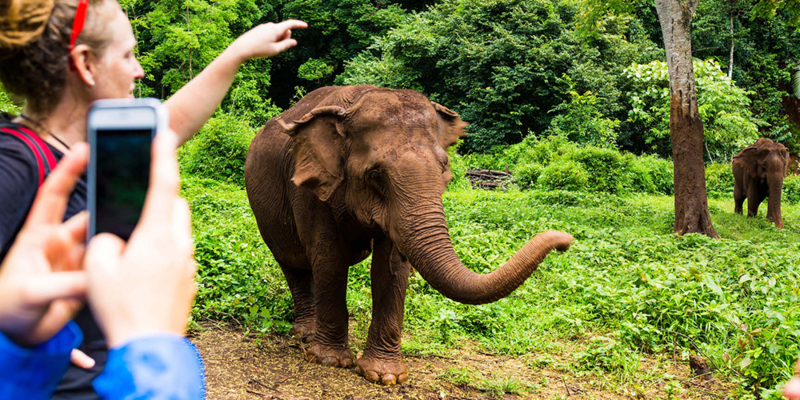 You will be given a passionate lecture on the history of each elephant, some elephant facts and figures and why riding the elephants in Siem Reap is just plain unethical. Getting a 400kg basket and then a further 3-4 tourists on the elephants’ back is very bad for their ribs, essentially squashing their ribcage over time. Elephants are not a domestic species, and should not be ridden. It takes generations of mixed breeding for an animal to become a domestic species. Mahouts do ride on the elephants, but this is on the crevice of their neck, not their backs and is kept to a minimum. Elephants eat a lot, in fact 75% of their diet is grass. So when they eat, they get fat and get happy. In fact, they need to eat 5-10% (about 150-300kgs) of their body weight just to maintain a normal body weight. So you will just watch them eat and eat and eat. 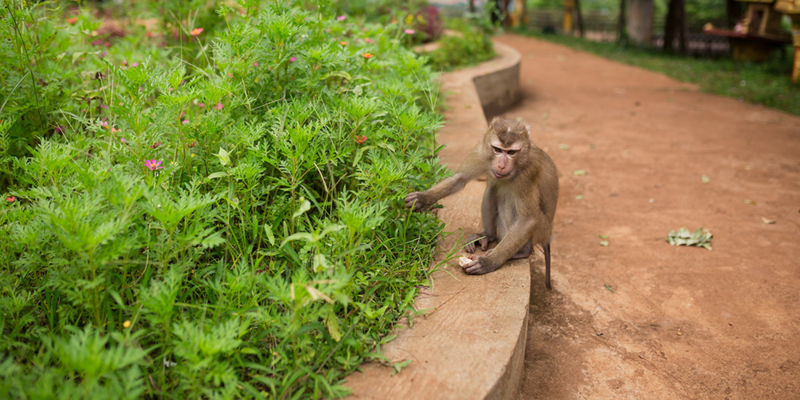 Captors actually give them a high sugar diet in cities like Siem Reap, which destroys their immune system, giving them digestion problems. Think about running a marathon, eating a sugar-filled energy bar may get the runners through the first 30 minutes, but then they will crash. This is the same with the elephants. They can do some of the work, but not as much as humans expect of them. A healthy elephant can be spotted by looking, among other things, at their ears. If they are flapping they are happy. As our guide said, “happy flappy”. If the elephant is concentrating on something or is dehydrated and in pain, their ears stop flapping. 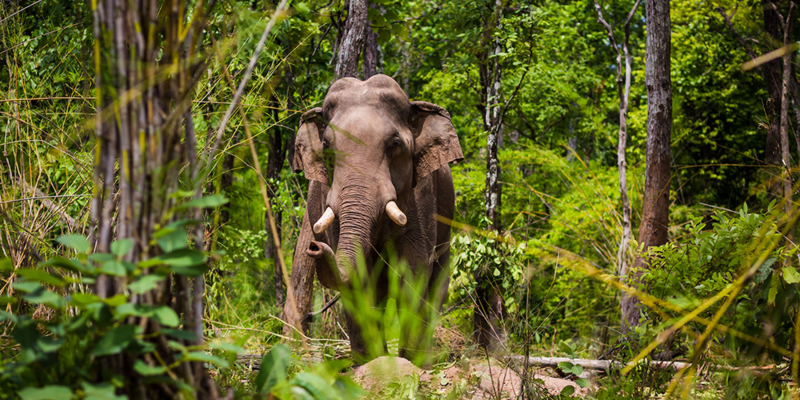 After watching the elephants and moving with them up and down the river, you will hike up to the headquarters for a lunch buffet of Khmer curries and fruits. The food is delicious and the spacious resting area that also acts as accommodation for overnight guests is comfortable. The view, yet again, will astound you. Drift off to sleep on the beanbags before being woken up by the gong, which means it is time for your second excursion. The second half of the trip, much like the first, involves trekking to wherever the elephants have decided to walk. So the time of the trip can changes depending on where they end up. After walking back up the mountain, you will drive back to Hefalump Café. The adventure costs US$85pp, or $55 for a half day. The experience is educational and the guides are extremely well-informed and passionate about elephants. For the elephant profiles, visit this link. For rates and tour itineraries, click here. For dinner, why not enjoy a pizza from Mondulkiri Pizza, the self-proclaimed best pizza in Mondulkiri, which is probably true and without contender. Going onward to Kratie you can either get a shared taxi or a private taxi for extra comfort and speed. Reserve a taxi of your choice with Mayura and depart around 930am. The drive to Kratie will amaze you. Expect hills of towering natural bamboo as tall as buildings for about 3-4hrs along the Vietnam border. Arrive in Kratie at about 2-3pm and drop your bags and check into your hotel before heading to Jasmine Boat Café for a bite to eat while you watch the night scene along the Mekong and Koh Trong island. 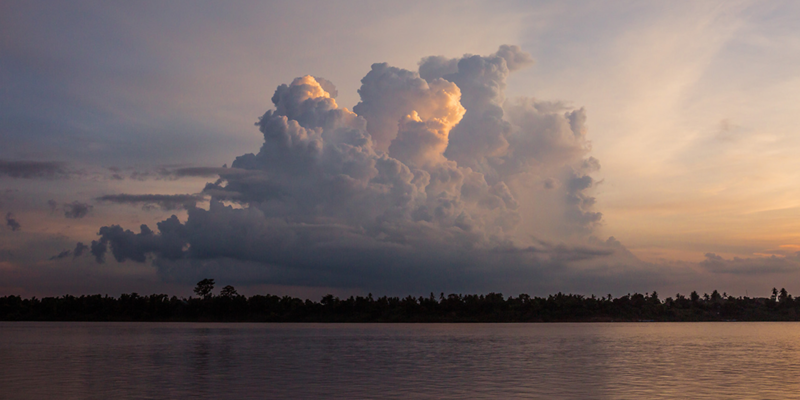 Gather your bearings as you take a stroll along the Mekong to your hotel. Or catch a tuk tuk for about $2-3. Take a seat and watch the tourists mix with the locals at Tokae restaurant on Road 10, about a block away from the riverfront. 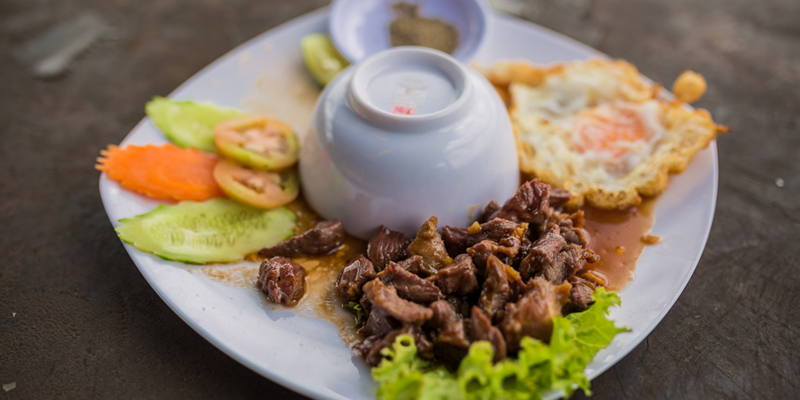 Now is your chance to try the local favourites such as beef lok lak (diced beef cubes) and fish amok, a sort of fish mousse made with fresh coconut milk, slok ngor (a bitter local herb), and kroeung which is a distinctly Khmer curry paste that has flavours of lemongrass, ginger, and turmeric. Sip an ice cold Ankhor beer and get your relaxation on. Bonus, the wifi here is free. A meal will cost you about US$3. 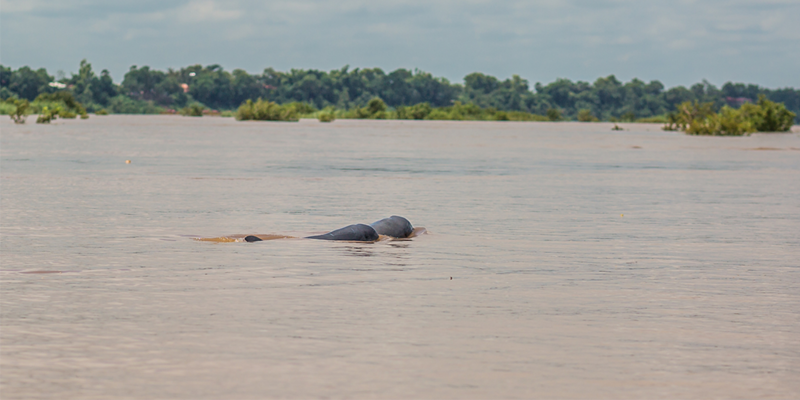 Your first stop will be in Kampi, the town where you will get a glimpse of the Irrawaddy dolphins. It is best to go early morning before it gets too crowded with starry eyed tourists, but it is reported that sightings are almost definite at any time of day. These fantastic, yet highly endangered creatures are remarkable yet super shy. The riverbed that you will visit only holds about 15-20 of these rare fresh-water dolphins, with around 70 left in the entire world. They were used as oil during the Khmer Rouge and due to pollution, fishing nets and inbreeding, they have almost completely disappeared. What makes the Irrawady dolphins so distinctive is the fact that they are fresh-water animals and have a very uniquely shaped bulbous forehead. On the northeastern end is the amazing Rajabori Villa, whose rooms are built using traditional Khmer stilted architecture with no A/C and just natural airflow. You can stop by for a local Khmer or French lunch (the owner is a French expat) and a reasonably priced bottle of wine. Chill out along the enormous and gorgeous lap pool (or $5 to swim in it) and hear the sounds of nature and falling mangos. While there are a few options for buses, share taxis and private taxis, the best option is to ask your hotel to make a reservation with a private taxi. Arrive in Phnom Penh and possibly do some sightseeing before heading back home to Singapore. Add an extra day or two in Phnom Penh at the end or Siem Reap at the beginning of you have not been to either of these places. Terres Rouge Lodge is a fantastic choice for fantastic food, a large pool, and amazing tour packages. You will get tour discounts when staying here, and a one-of-a-kind guide in Vuttha. The restaurant overlooks the tranquil Kan Seng Lake and Thy Ath Lodge and Prakdara Guest House on the other side. You will loved showering among the elements and the voyeuristic geckos. It is comfortable, clean and feels like a safari lodge in the spacious rooms. Average nightly rates at US$55. Check for rates and availability here. Mayura Hill Resort is tranquil and set in a beautiful surrounding. Not a luxury resort by any means, but the perfect spot to hide out if you don’t want to stay on the main strip. The rooms are strategically placed on a hill among the foliage. There is a charming infinity pool with sun loungers as well as a little gym. The service is friendly, young and professional and there is a driver available anytime before 9pm. There are also bikes to borrow at anytime. You will also get great rates on tours to Bousra and the ziplining. Average nightly rates at US$100. Check for latest rates and availability here. Average nightly rates at US$65. Check for rates and availability here. You can get a direct flight to Phnom Penh on Jetstar at 1:30 or 19:30, SilkAir at 7:30 or 16:30, and Singapore Airlines at 7:30 or 16:30. Flying into Siem Reap is very similar with flights leaving a little later with the same airlines. There are a few options for buses, share taxis and private taxis traveling to the Wild East. The best option is to actually contact your hotel and ask them to make reservations for you. They will have connections and will be able to figure out the best options for your time and budget. Be sure to find out all the minor details as the public services will most probably not wait for you before departing. We found the private taxis to be the best option for easy travel, although it is about 6 times the price of a normal shared taxi. While some shared taxis stop at random areas and change cars several times, you can never be 100% sure of what your trip will be like. There have been reports of great trips and nightmare trips where 15 people are crammed into a 10-seater mini-bus, making for an uncomfortable ride. A private taxi would set you back about US$70-90 and a shared taxi or bus is much cheaper at around US$8-20. While there are tuk tuks in all 3 cities, you will find less in Mondulkiri. Organise tuk tuks or motos with your hotel beforehand to avoid disappointment. Walking around the main towns by foot or bicycle is a good way of getting around. Hiring a car is not recommended as the driving style in Cambodia is very dangerous if you don’t know what you’re doing. Cambodia is usually frequented in October-April, as the rainy season starts in May till end of September. But in late May the Mango showers will just begin. This is when it pours everyday at sunset for about an hour or two and it is clear for the rest of the day. There are also much less tourists in May, which means less crowds to fight through, though this part of the country is devoid of mass tourism and largely unexplored.